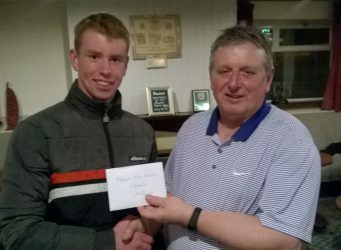 Winners of Faughs golf outing to the Grange: Congratulations to U16 hurler Benjie Bowe. 1st place with a great score of 34 pts, 2nd place was Mick O Boyle on 33 pts and 3rd Gus Brennan on 32 pts. Great day had by all. Next outing May 27th Moyvally. See you all there.